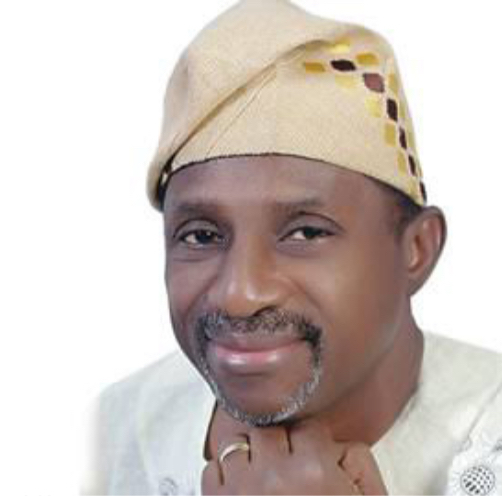 Senator Olufemi Lanlehin, who represented Oyo South senatorial district from 2011 to 2015, is the governorship candidate of the African Democratic Congress (ADC). A lawyer by profession, Lanlehin, speaks on factors that will determine winners of the 2019 general elections. What is your assessment of the current political situation in Oyo State? I think the situation of politics and governance in Oyo State is one that is very sad, particularly governance. If you look at the position of the state as at today and the welfare of our people, it is that of sad tales. Go to town and talk to people, listen to the media, you will discover that our people are in pain because the economy of the state is in jeopardy. If you talk to them, you will discover that there are a lot of things that our people lack. There are some things they should get as rights normally, which they donâ€™t get. A lot of our youth are out of jobs, most of them donâ€™t have employment, and there is no hope of such, because the present government has completely neglected the welfare of our people. It has concentrated on whatever it has concentrated on to the detriment of the welfare of our people. The constitution of our land makes the security and welfare of our people the centrepiece of governance. No matter what you do, people should be at the centre of all policies. They should be the end beneficiaries of such policies. What do we have today? We have a government that is very care free about what people think, what they feel and about their welfare, and does not shy away from saying so. Apart from saying so, you can see from the results of policies of government that our people are in pain. So, I will say that be it commerce, be it industry, be it infrastructure, schools, health, regular payment of salaries, there is none where I can give the government a pass mark. At times, the government may want to point to some infrastructure it has done. But the infrastructure that the government is laying claim to, none of them is of any benefit to our people, of any economic or strategic benefits, of any great impact to our people and many of them have not even been completed up till now, he is almost eight years in office. Do you want to talk about a lot of dualised roads in Ibadan? They are still ongoing almost eight years in office. Do you want to talk of the schools that are badly architecturally positioned? The schools were built in such a way that they are in clusters and does not give room for light and ventilation. They are clustered together instead of a simple and functional school that we are used to, such that if there is no electricity supply to the new structures built by the present government in some schools, the places will be in semi-darkness. These projects cost a huge amount of money. at heart, who does not care for the teeming youth who are out there pounding the street looking for jobs or looking for jobs that are not there. So, without much ado, one can see that honestly for almost eight years, this state has been in a very terrible state because the man at the helms of affairs, Abiola Ajimobi, does not, in my own opinion, care for our people and the welfare of our people. He has not applied himself diligently enough towards their welfare. Are you saying all these based on the fact that you have fallen out with him politically? The two of you were together in the same political party in 2011. No. I have always advocated people-centred policies from day one when we were in the same party. I have always insisted that you must look at our people from the prism of the need to provide for their welfare, no matter how small. You must come down from your Olympian horse and listen to our people, interact with them, and listen to genuine advices that will make you to provide things that will be in their interest. What I am saying is not a rocket science. It is what you can see. If you go to the inner cities, even towns and villages around, and anywhere in Oyo State, there are teeming number of people, who are out there that donâ€™t have a job. The agricultural lands are all there, lying fallow, wasted and not being tilled optimally. The government can do quite a lot from the allocations that we get every month, which is not less than N5.5 billion. The Paris Club windfall that we get from time to time, the World Bank and other interventional aids, assisted projects and finance that we got from time to time, where do these monies go? If people are comfortable and they are being taken care of, it does not take any long research to discover that. If you go town yourself as a very experienced media practitioner, and interview ordinary and not so primary persons, you will discover that they are in pains, they are in wants and life has not been very easy for them. Oyo State is an economy, the hybrid of commerce, industry and the civil service, and public service, which have to synchronise and synergise for things to move ahead. What has happened to all the industries that we use to have around Odo-Ona, the ones we used to have at Oluyole, and the ones we used to have after Iwo Road, as well as other places? What happened to them? It doesnâ€™t take much to pump some things into them, revive them and there will be a chain reaction. We donâ€™t need you to be to Denmark, Norway, China and travel all over the world, saying you are looking for investors. Where are the investors now? The present administration has said many times that there has been a sharp downward trend in the federal allocation to the state, saying the state used to receive more than N5 billion, but has now dropped to between N2.5 and N3.5 billion monthly. Would you not rather say the drop might have affected the execution of some the projects? I know there must be knocked down houses for road development to take place. Is it the Iwo Road-Agodi â€˜destructionâ€™ and that construction that is not ongoing, which is haphazard? Is it the Agodi-Idi Ape-Akobo Road? Is it the schools that look like Scottish castles? Is that what we need? When you bring all people who come to do all these things, you bring contractors from outside the state and I am not saying you should not have competent contractors, but you must have contractors that must employ our people, who will supply cements, sand and who will do the digging, who will supply carpenters. He should have ensured that it is part of the contract terms so that our people will benefit. As regards the revenues, that is why as the head of the project and the state, he must be proactive. You have to think of tomorrow. You must know that occasionally, things will not come as much as you expect. The Internally Generated Revenue (IGR) is there. What are they doing with the IGR, instead of destroying our peopleâ€™s stores, kiosks, and little things they used to fend for their families? We hear stories about them and what are they doing with them? So, I am saying that by and large, I donâ€™t believe that if you carry out an empirical analysis or study of the governance and the resultant effect on our people, it will be positive. What are the issues that you envisage will determine voting pattern in the 2019 election? In Oyo State today, our people have come to realise that the thing that matters most, at least politically, is the man at the helms of the affairs. Today, we are operating a presidential system of government, which places so much powers and authorities to do an undo, to make or unmake in the hands of the president or the governors. Our people in this state have come to realise that in their own interest and for their own welfare, they should look at the individual to whom they will give such large authority to, to determine their destiny. They have come to realise the fact that they must put power in the hand of somebody they can trust. It is not only somebody who says he can do it, or will do it, but somebody who they know, from track records with empirical evidence and who has been able to the best of their own judgment, show that he has affection at heart, the passion for public service and he has proven such. Talk is cheap. Anybody can get on a podium and talk away, but walking the talk is now what our people want. What would you say are the roles personalities of candidates will also play in winning elections? The success or failure of an enterprise or governance is dependent on the personality of the person driving the project or the governance. Like the Chinese say, when the head of a fish is rotten, rather whole body is rotten. But when the head is fresh, you can rest assured that it is a fresh fish. To that extent, our people have come to realise that you must shine your eyes because they have been taken to the cleaners so many times. They have come to realise that you must dissect and x-ray the antecedents and the personality and the track record of the person. They have realised that it is not even by political party. It is about each individual as to what he or she can do for them, had done to them before, whether he has the capacity or lack of capacity to do so. I believe our people are going to concentrate on who can deliver the goods, and wherever they come from should be irrelevant. What they want is somebody who can deliver the goods, either from Oke-Ogun, Ibadan, Ogbomoso, Oyo or Ibarapa, as long as the person is a citizen of Oyo State, and they have x-rayed him, they have looked at his personality and capacity as well as educational and family background, and they know that he is a man of his words, and therefore trust him.